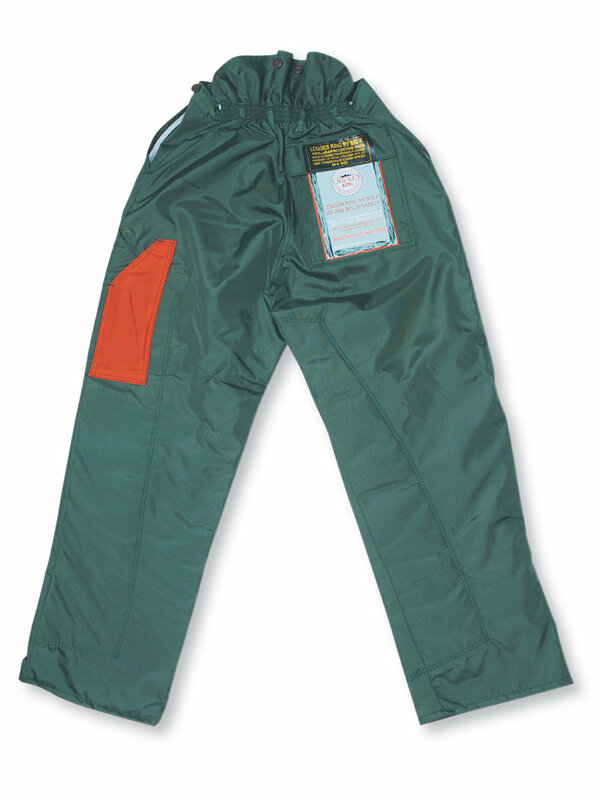 400 Denier 100% nylon 4100 fallers' pants have 2 deep front pockets, 1 rear pocket with flap, rule pocket on left, brass suspender buttons on outside, high back with elastic keeps out woodchips, stress points bar-tacked, 36" long waist to ankle 4-ply KEVLAR protective pads â€“ 180Âº front seam-to-seam protection and 4" on the left side of both legs. Meets WCB Standard of BC PPE1-97 4100 threshold chain speed. Also available in fire retardant and BNQ standard. SIZES: 28/30, 32/34, 36/38, 40/42, 44/46. Larger sizes available.